One of the best ways to liven up offices, reception areas and conference rooms is adding a splash of color. If buying or renting colorful art is out of question, why not enhance the corporate space with plants? 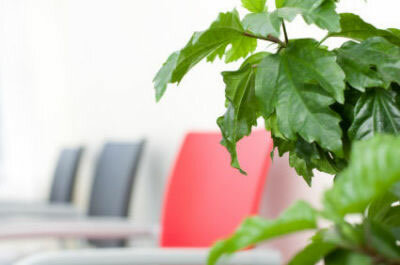 Carefully selected indoor plants will soften the harsh effects of modern office decor; they are visually pleasing, soothing and keep up the positive image of your company, as well as help naturally improve the indoor air and are effective in decreasing tiredness. With such a high density of business centers in New York, the city has an array of plant rental service providers covering Manhattan and surrounding areas. Here at NY Offices we decided to compile a list of companies that would be happy to revive any workspace, large or small. Commercial plantscaping includes office plant rentals, seasonal plant displays, plant sales and, in some cases, on-going maintenance. It is also worth checking the green policy of your plant service provider, specifically try to find out what kind of pest control products the company uses, whether they compost old plants, whether they recycle water containers and so on. Address all of your horticultural inquiries to New York’s leading commercial plant rental professionals, such as Botanicus, Blondie Stree House, John Mini or Manhattan Plant. For more information on plants at work visit the official site of a national information campaign GPGB (Green Plants for Green Buildings) or visit Plants for People. Please note that the above-mentioned links are for your general information only and we do not endorse any of the companies or establishments. NY Offices are not responsible for any of the content on the external sites.